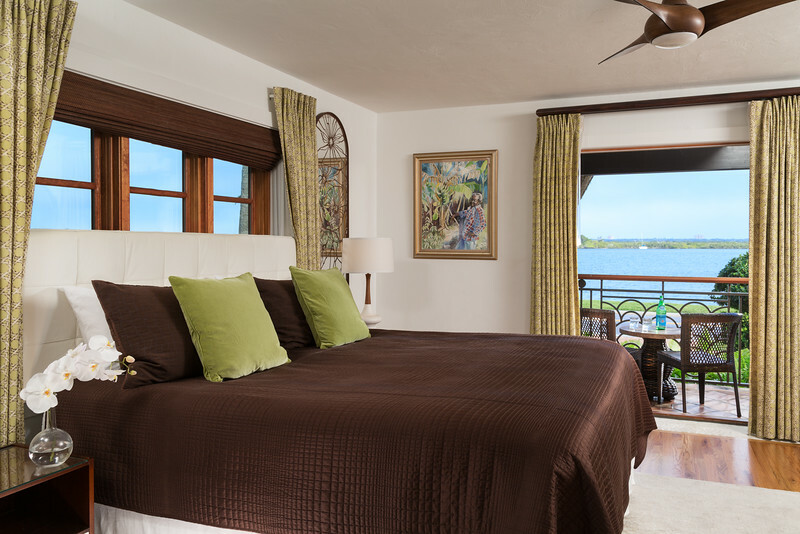 Enjoy your private balcony or outdoor terrace while enjoying a panoramic view of the Indian River. 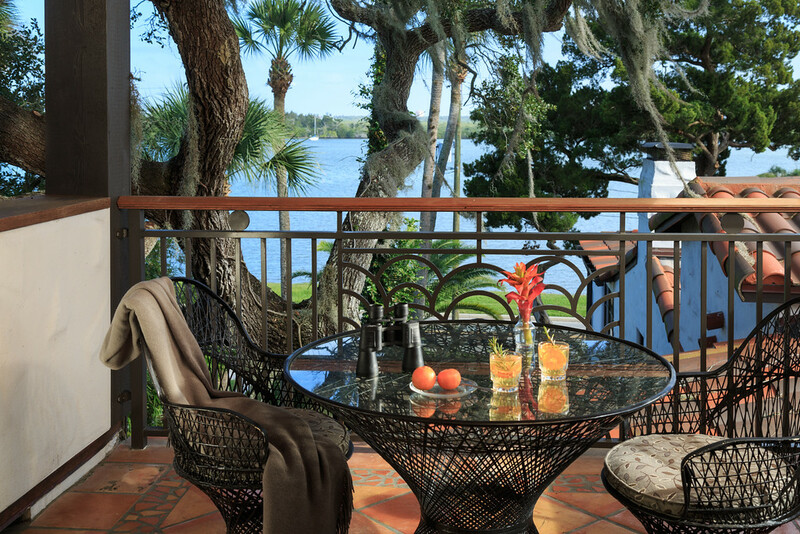 Private furnished balcony overlooking the Atlantic Intracoastal Waterway. 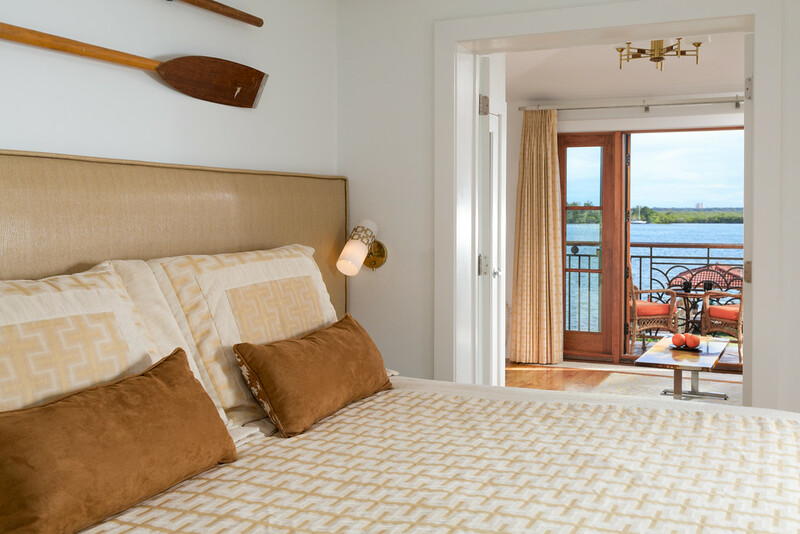 Where guests can interact with our nautical surroundings. 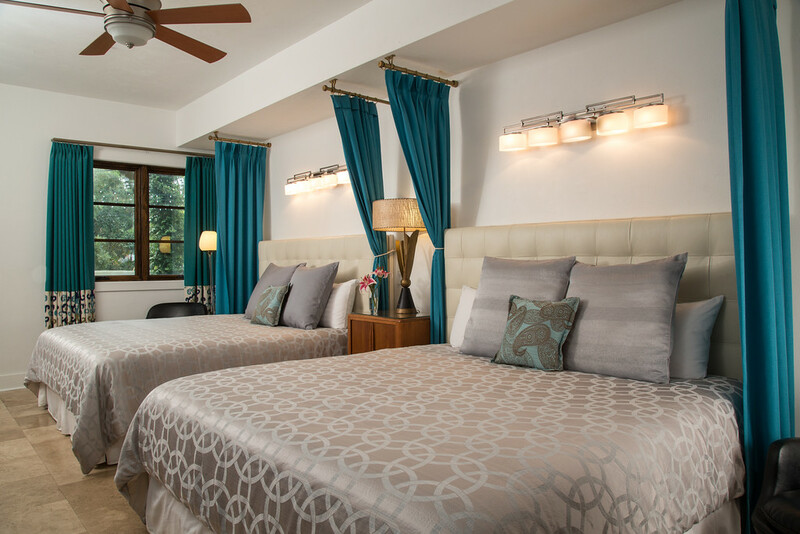 A King bed with the crispest, coolest sheets of Egyptian cotton. 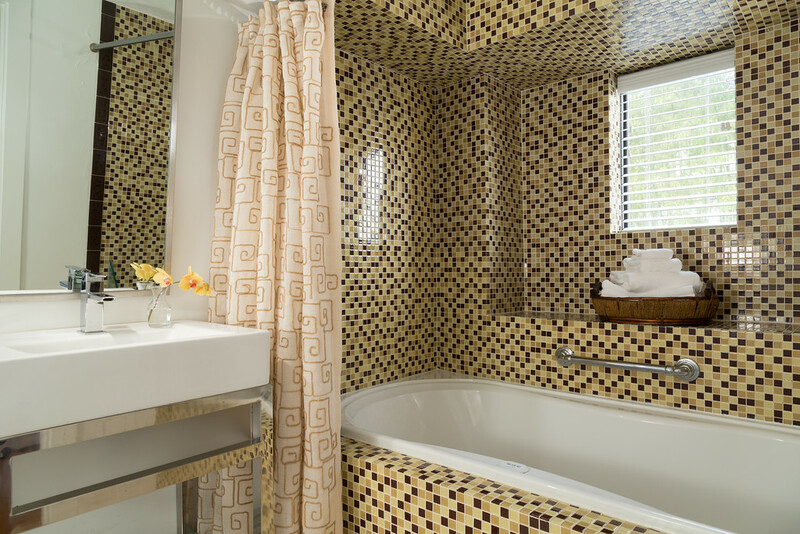 Enjoy soaking in our oversized Mirabella air-jetted tubs. 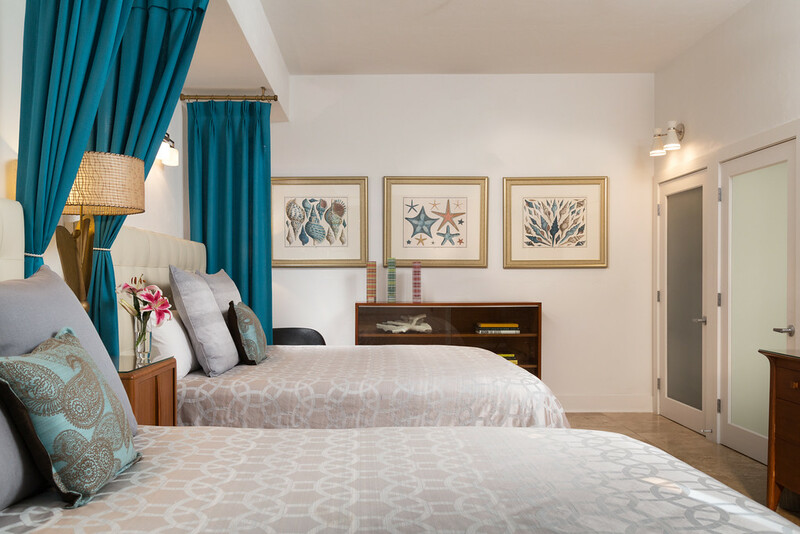 These spacious and beautifully appointed first floor level units feature two King beds. 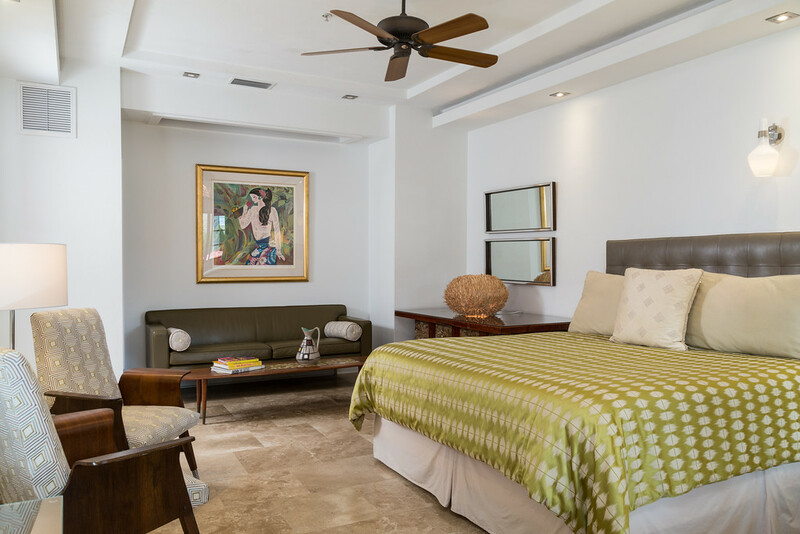 On the first floor level with an exterior entrance and pet friendly. 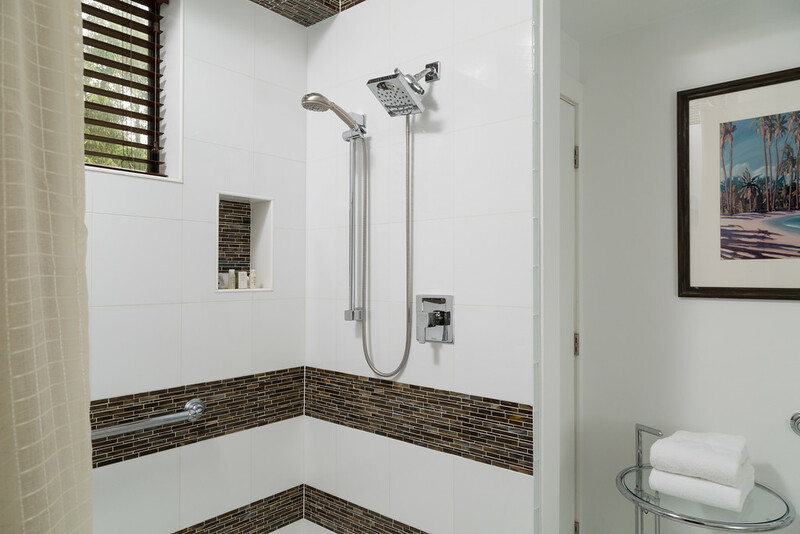 One of our rooms in this category type features an exquisite walk-in shower. 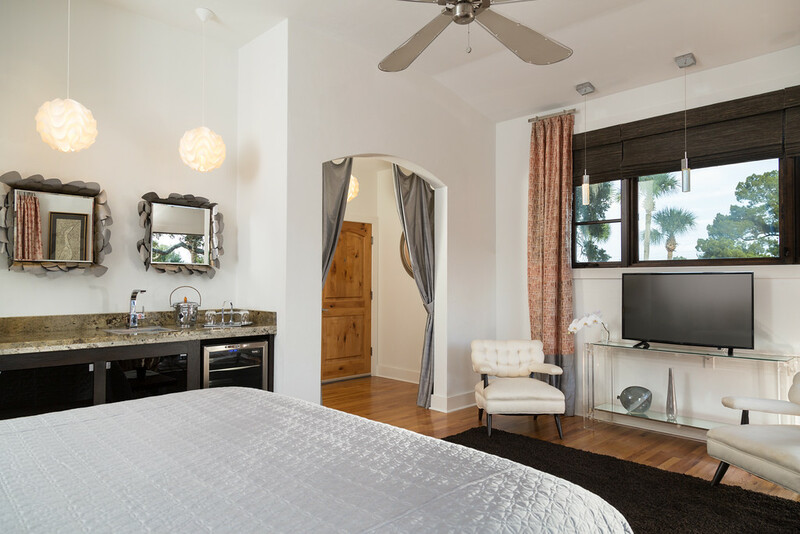 Beautifully appointed and furnished with 2 Euro-style king beds. 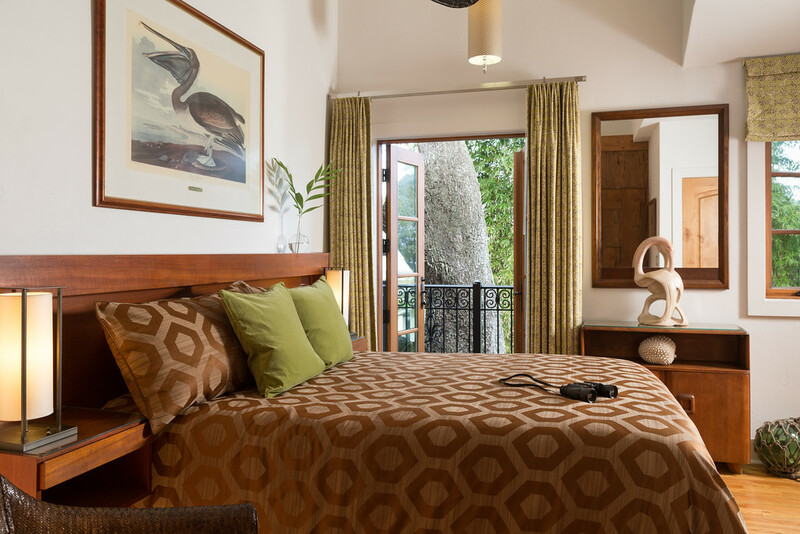 One of our most spacious guest rooms, these units can accommodate up to four guests. 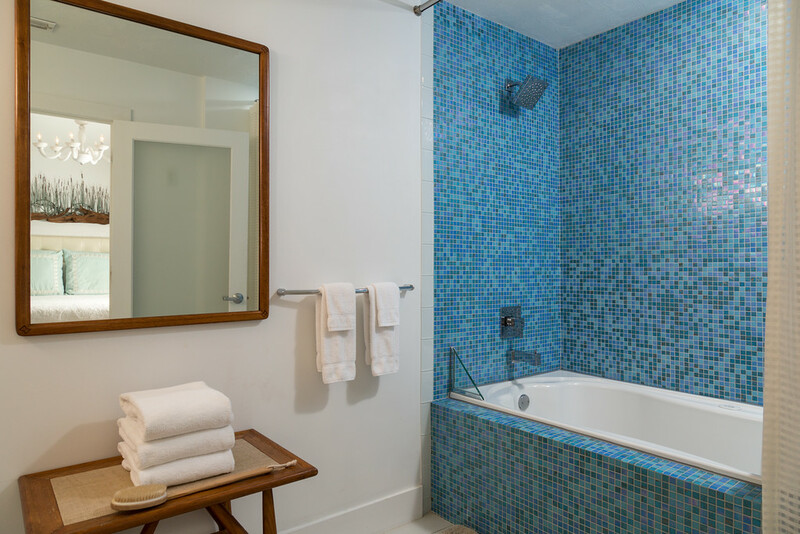 Immerse yourself and rejuvenate in one of our air-jetted tubs. 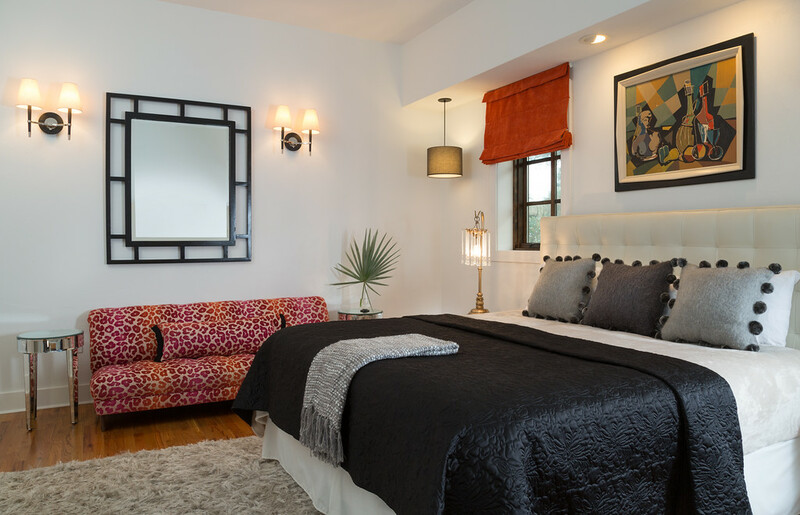 Featuring a spacious bedroom with a King size bed, and adjoining sitting area. 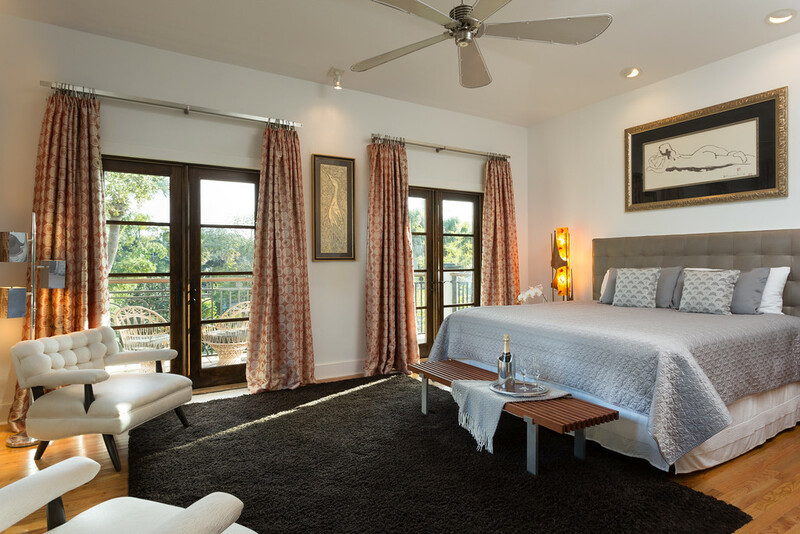 Features a set of interior french doors for privacy between master and guest bedrooms. 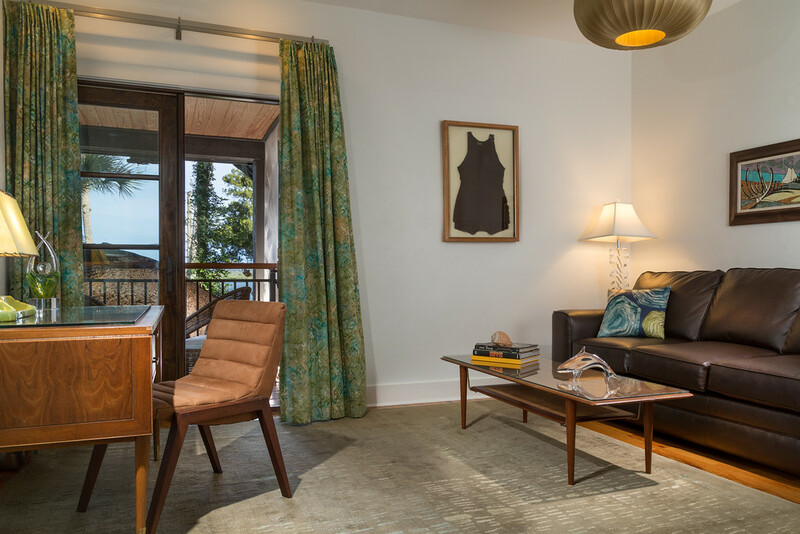 This mid-century contemporary style suite features a comfortable sitting area. 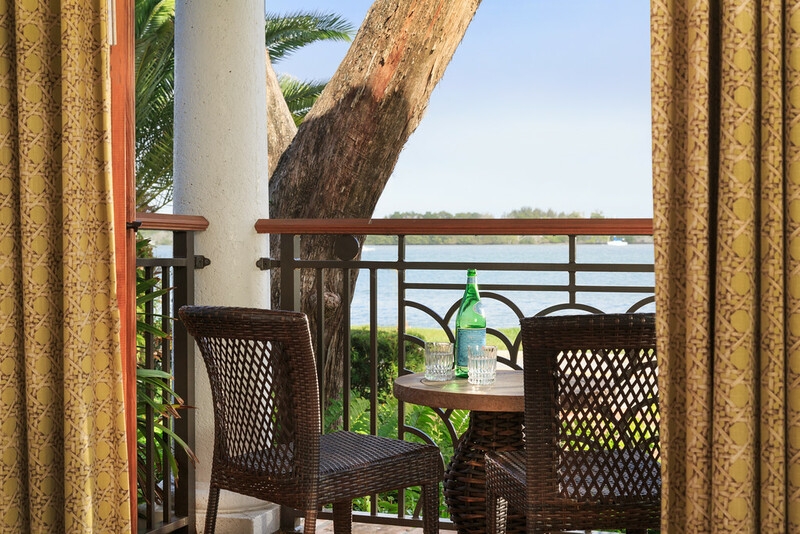 Cosmopolitan and coastal ambiance - with a private outdoor terrace seating area. 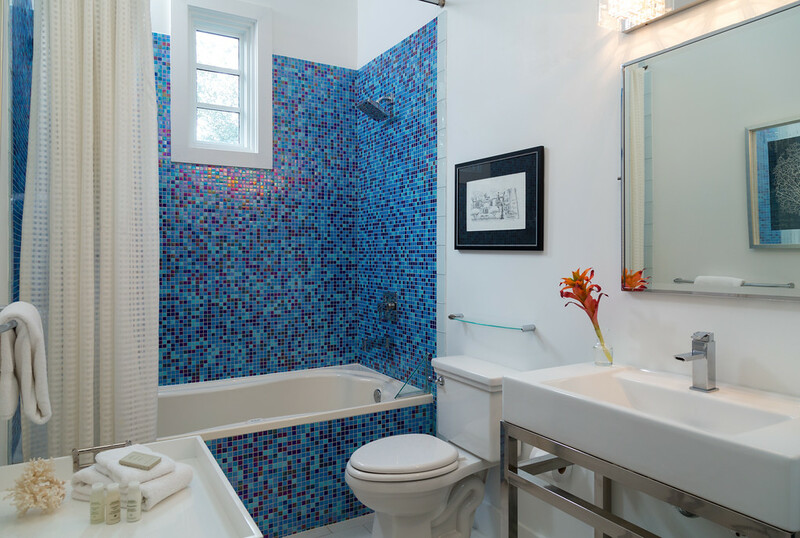 Sanctuary of cool - with vibrant blue glass mosaic tile. 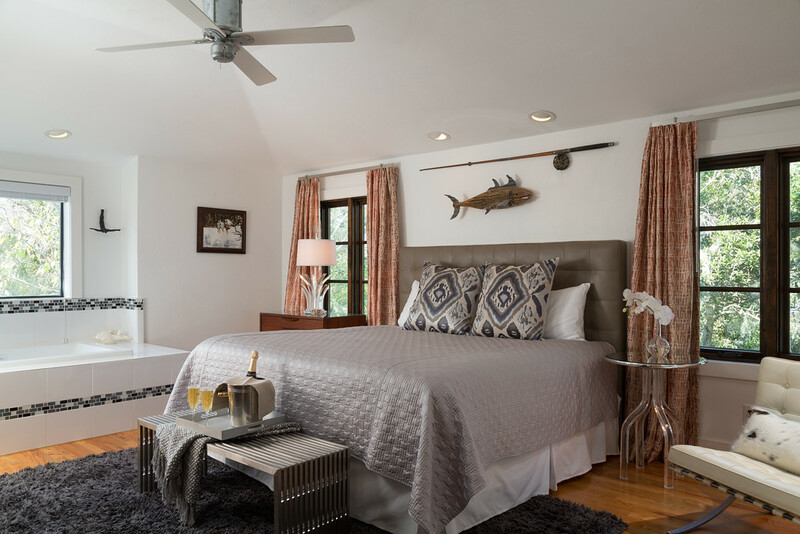 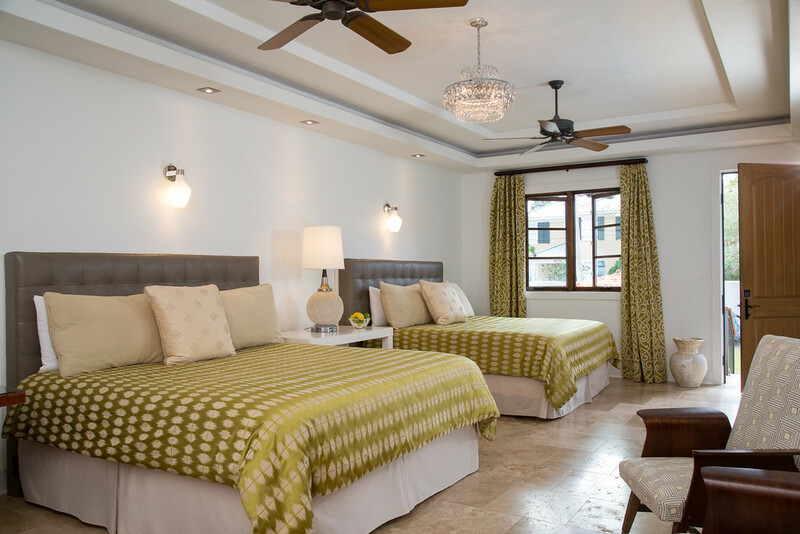 Second floor level guest rooms evoke a calm and comfortable ambiance. 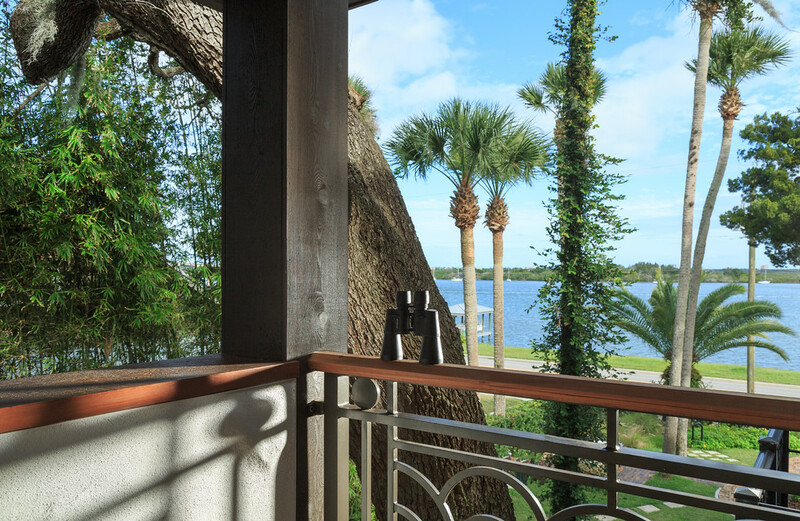 Offering panoramic “direct” views of the Atlantic Intracoastal Waterway. 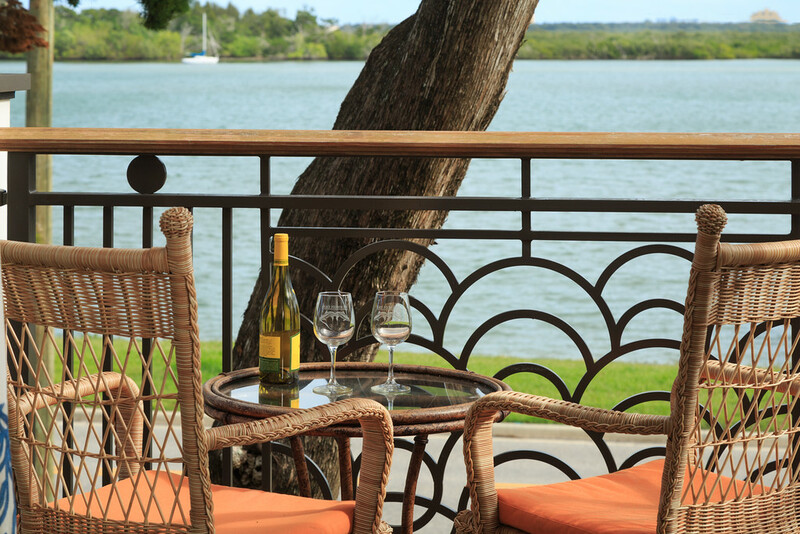 The outdoor balcony is ideal for curling up together with a glass of wine. 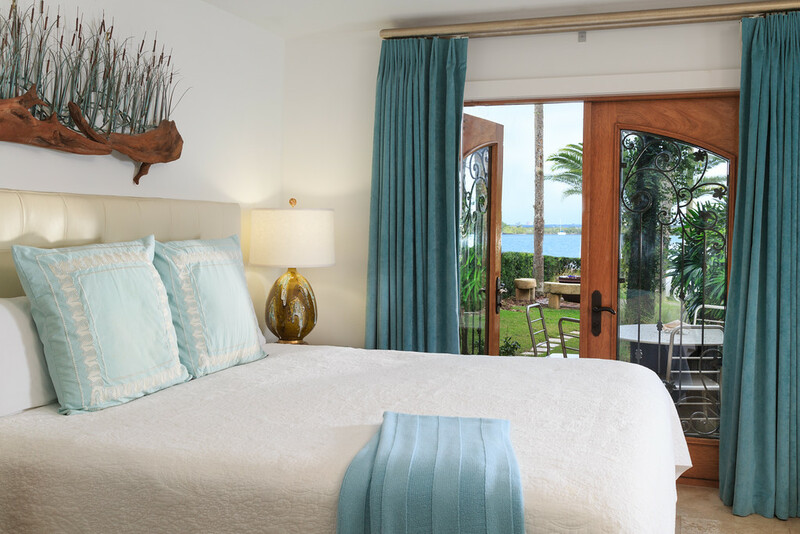 Luxurious bedding that makes it too comfortable to leave. 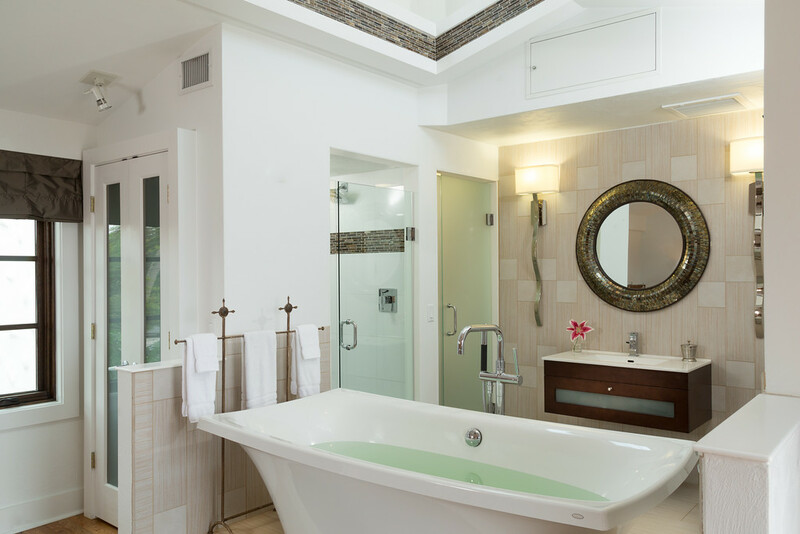 Featuring a “free-floating” soaking tub centered under a sky-lit cupola. 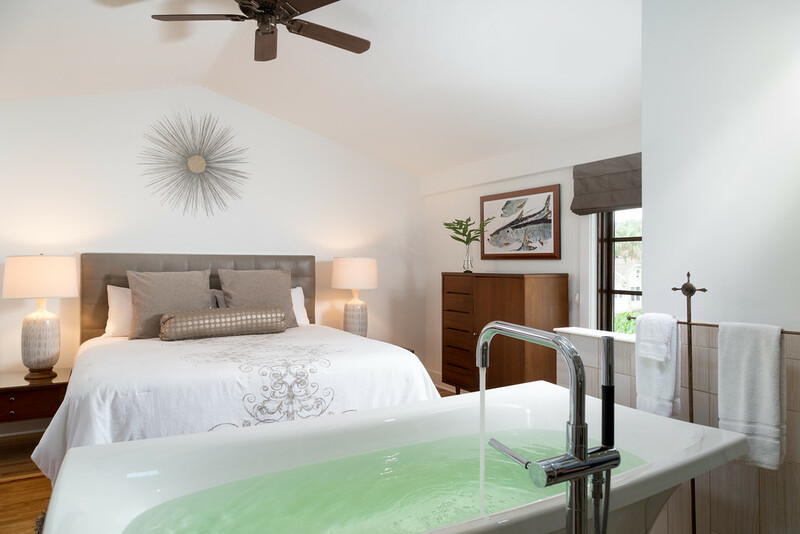 Free-standing Kohler soaking tub in the Master Bedroom and luxurious bedding that makes it too comfortable to leave! 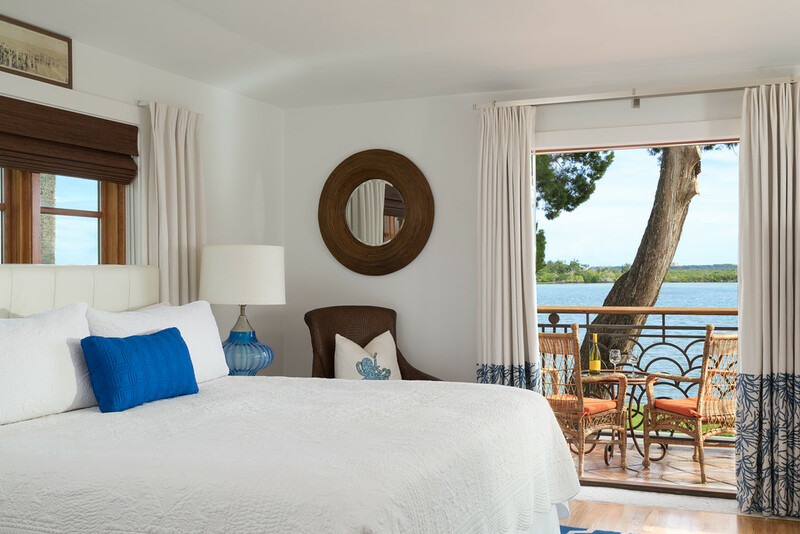 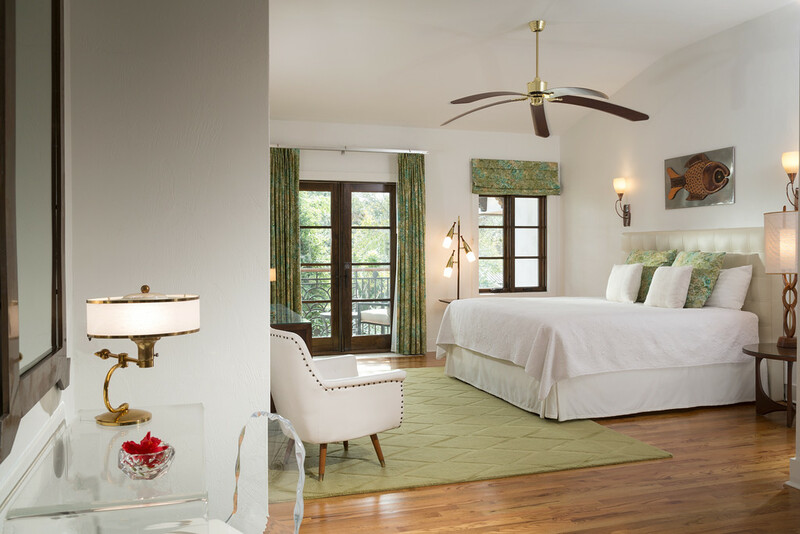 Guests can relax in modern style and comfort while savoring bay breezes and island charm. 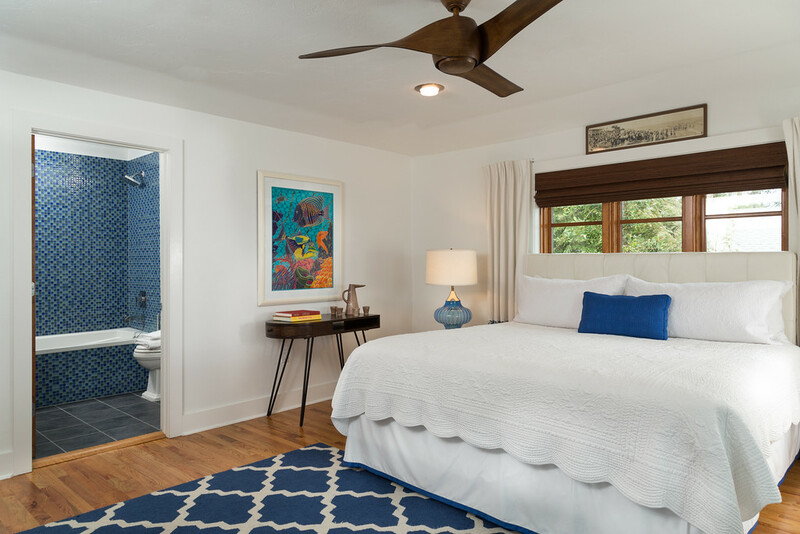 Tucked in a quiet neighborhood minutes from the beach. 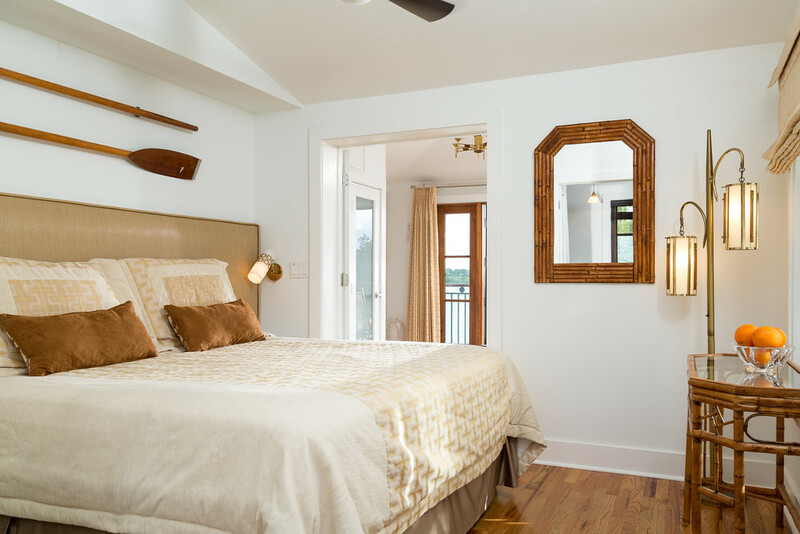 Your home away from home awaits you in New Smyrna Beach. 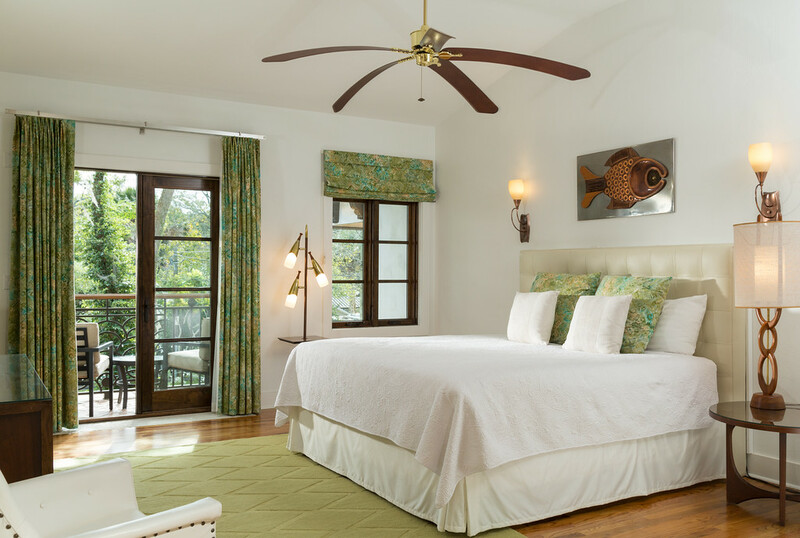 Free floating vanity mirror framed by views of our lush tropical courtyard. 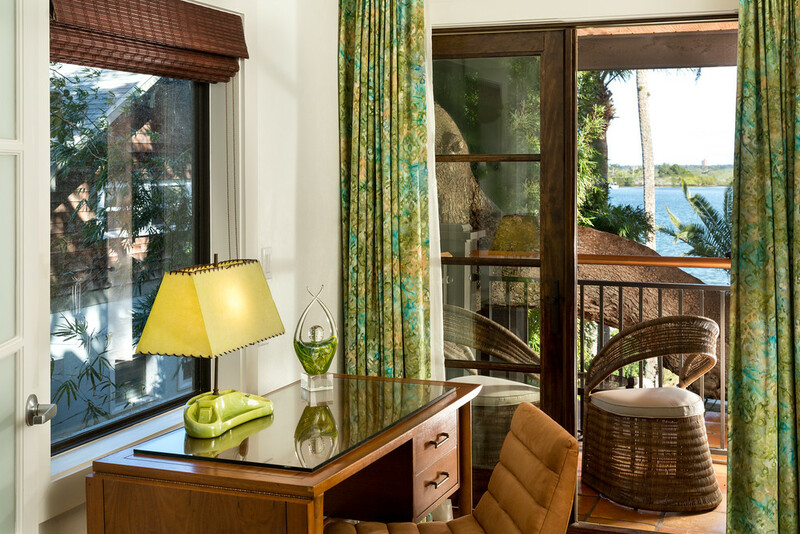 Waterfront view balcony bringing the Florida outdoors inside. 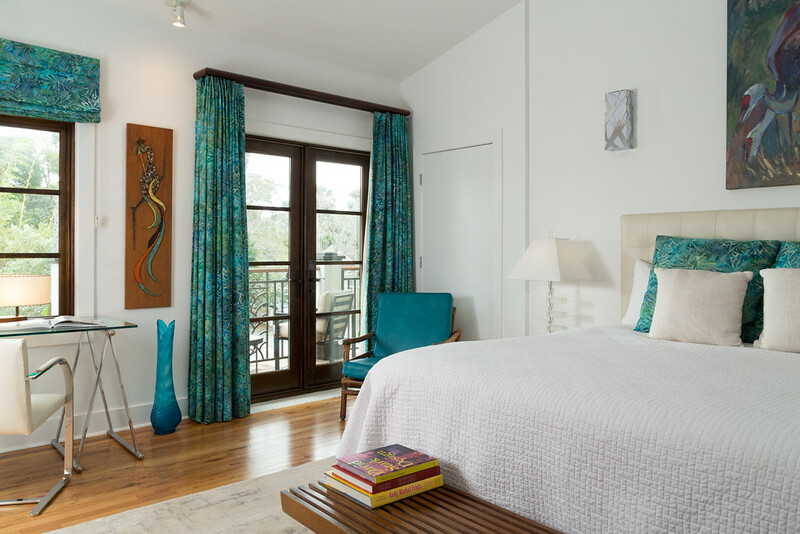 Featuring "angled" bay views of the Atlantic Intracoastal Waterway. 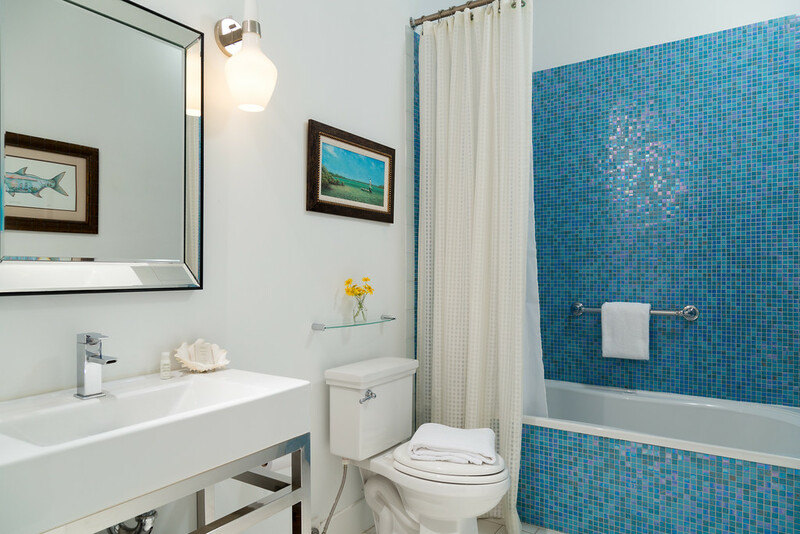 Adorned in glass mosaic tile and accented with Aveda amenities. 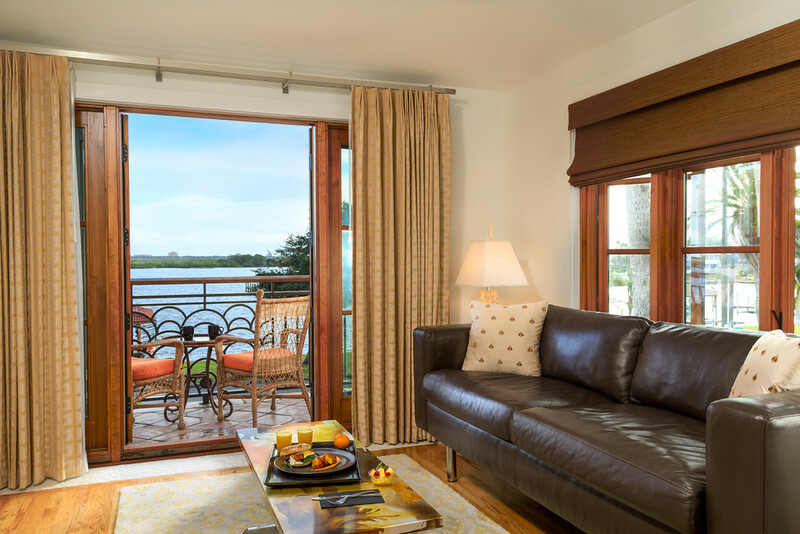 Where guests travel not to escape from life - but to indulge in it! 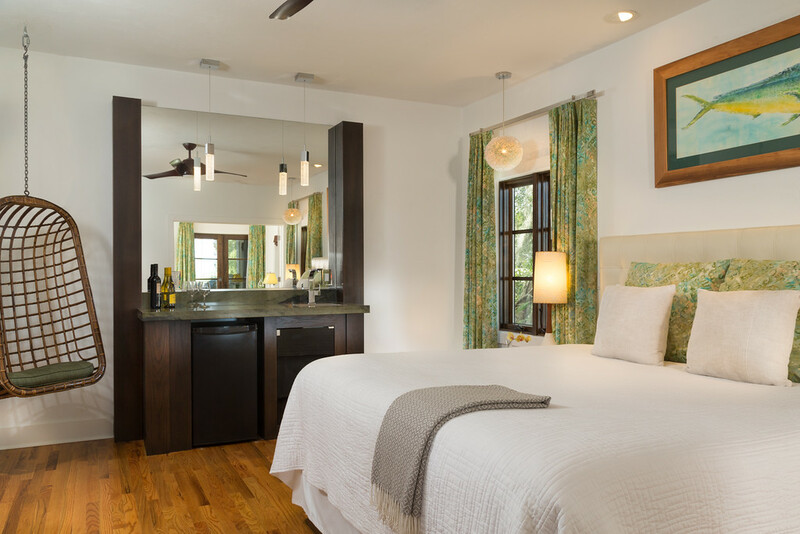 Featuring a generous floor plan, wet bar, red oak floors, and king bed. 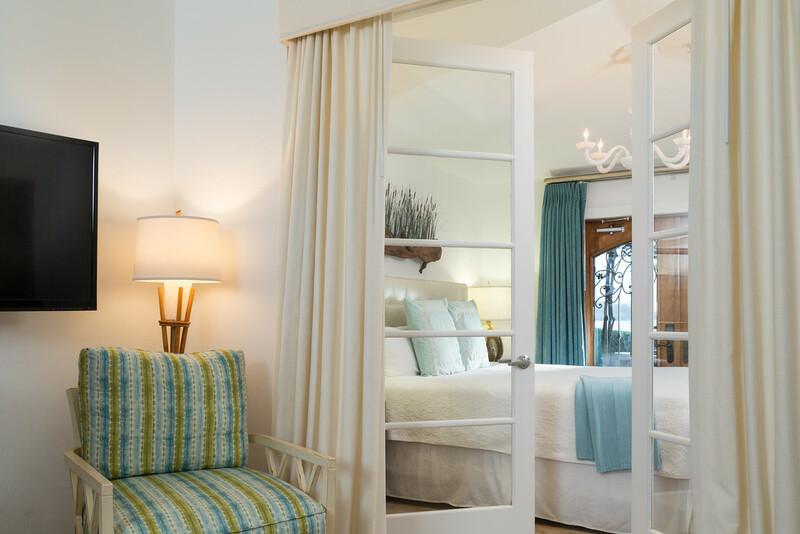 Offers sophisticated charm and a casual beach vibe. 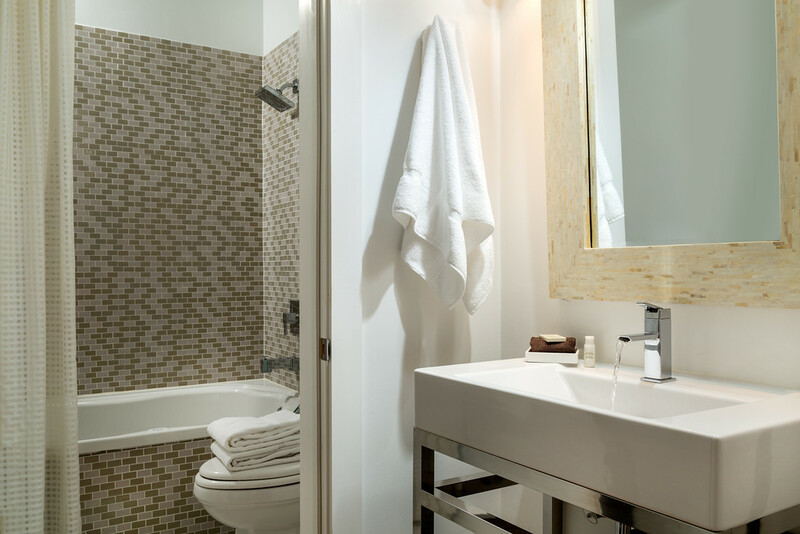 Bathroom amenities include a logo-ed robe, luxurious towels, and hair dryer. 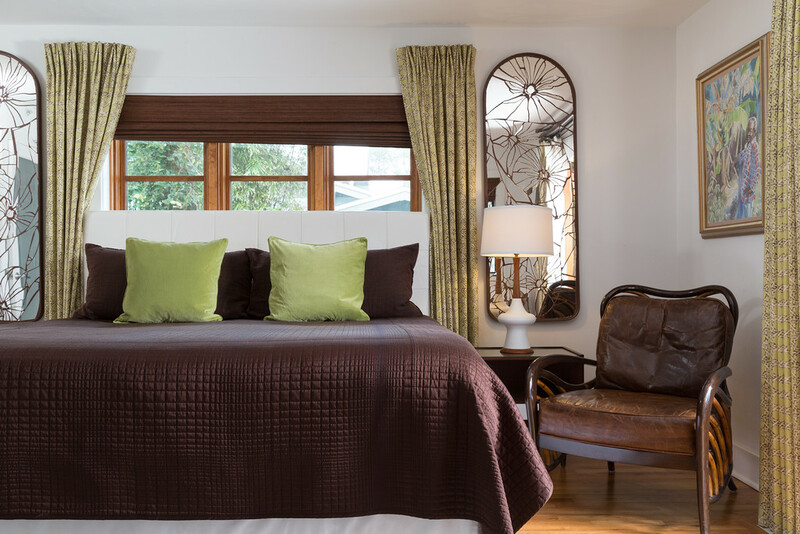 A sense of place where the space is unique, comforting, tranquil and alluring. 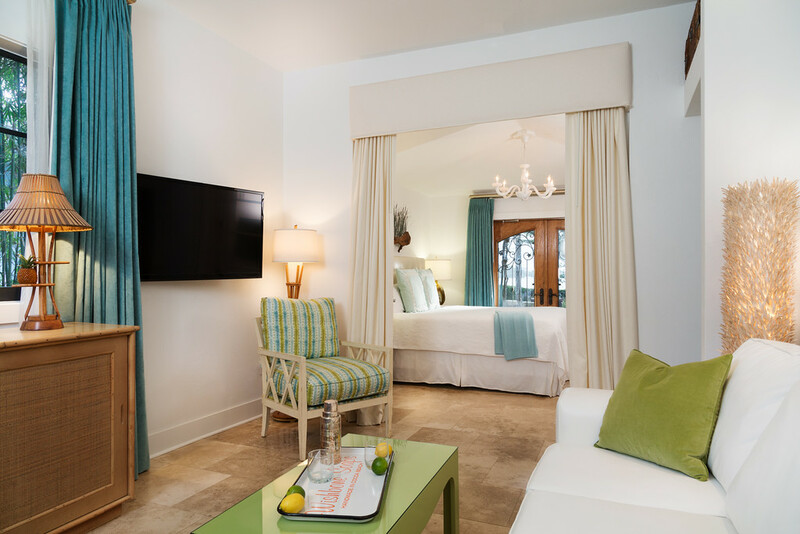 All of our guest rooms & suites are designed to make you feel pampered and comfortable. 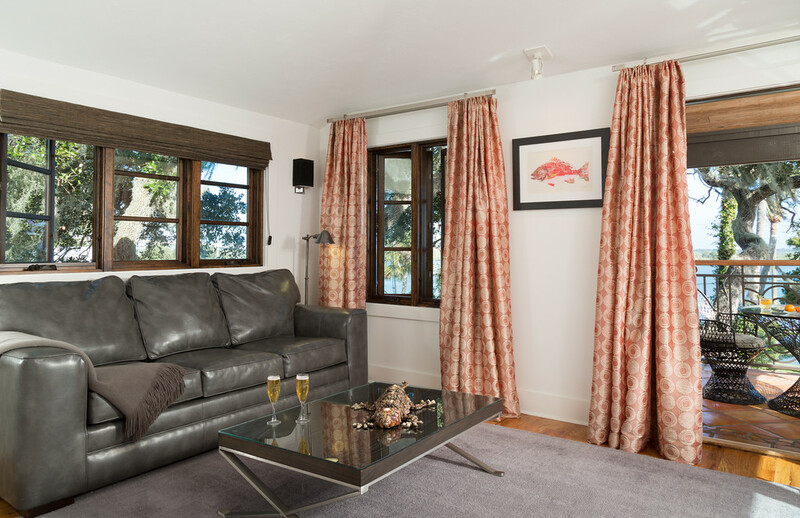 Offers a hip, yet comfortable indoor/outdoor seating area - with a pop of artistic glamour and color. 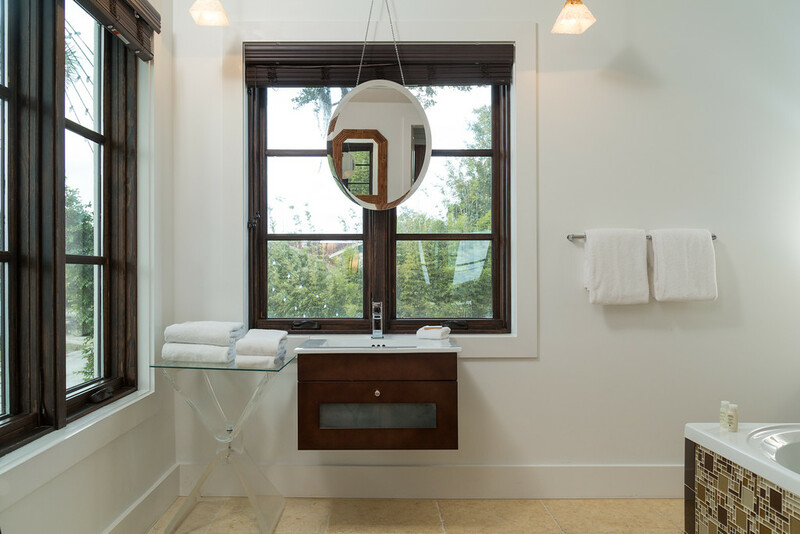 Many of our luxurious bathrooms feature Kohler vessel sinks and Rainforest shower heads. 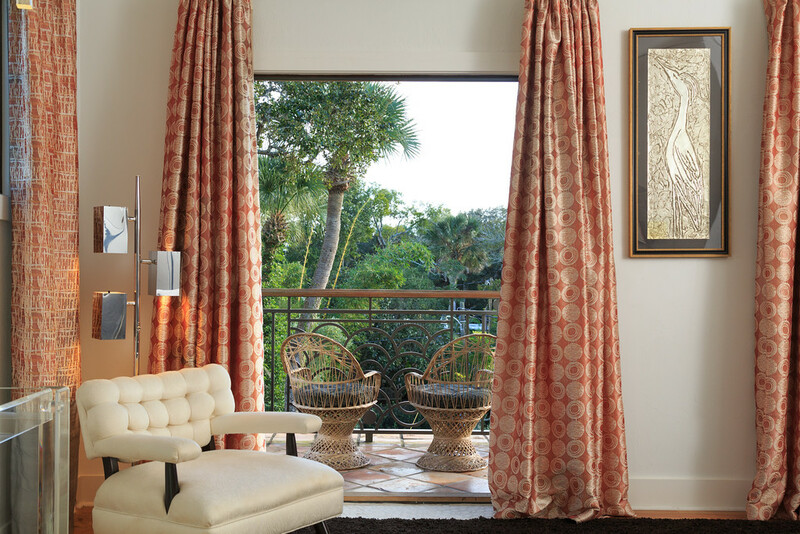 Infused with it's own spirited personality and style! 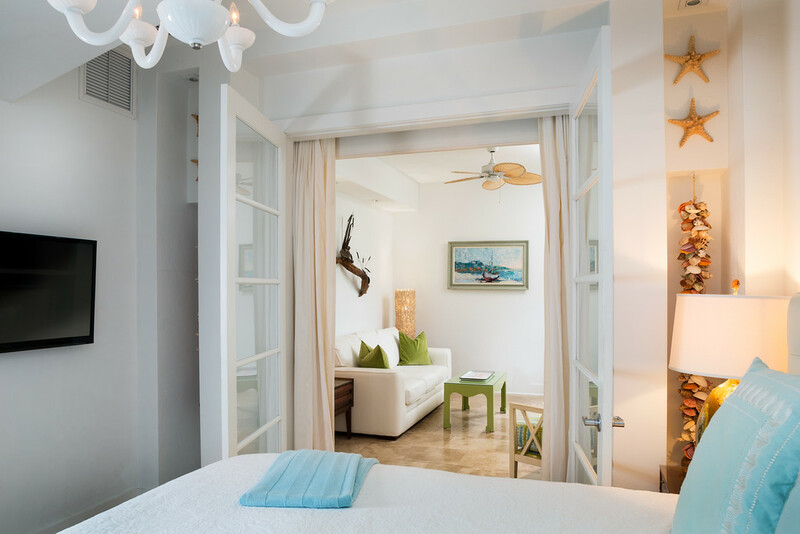 A real sense of arrival which is so evocative that it is difficult not to remember. 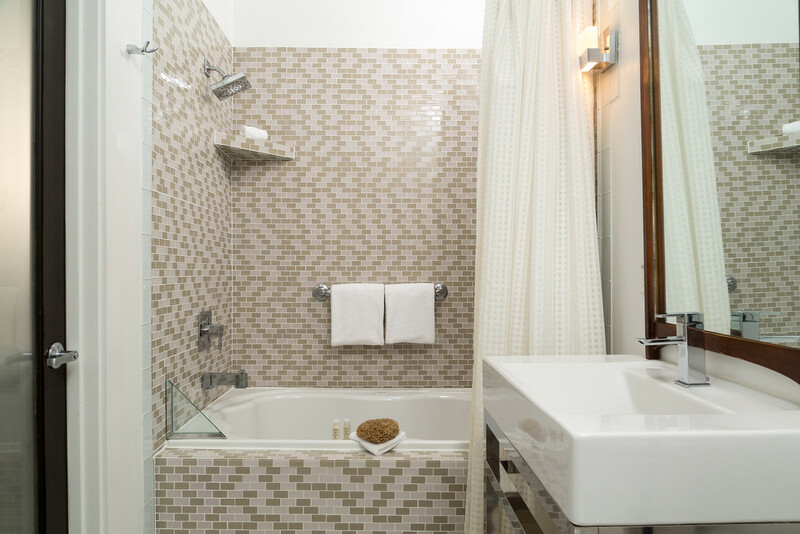 Our guest rooms evoke a calm and comfortable ambiance & feature Aveda bath products. 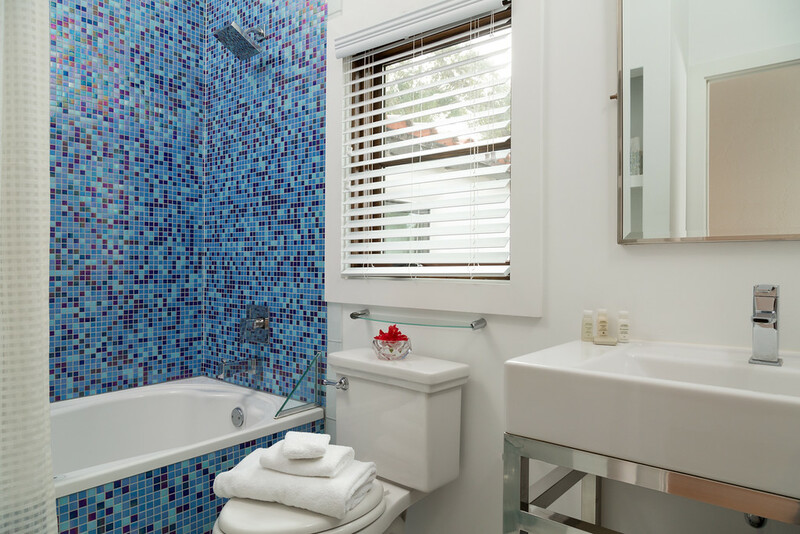 Each bathroom has a different color scheme and most are furnished with a Kohler air-jetted tub. 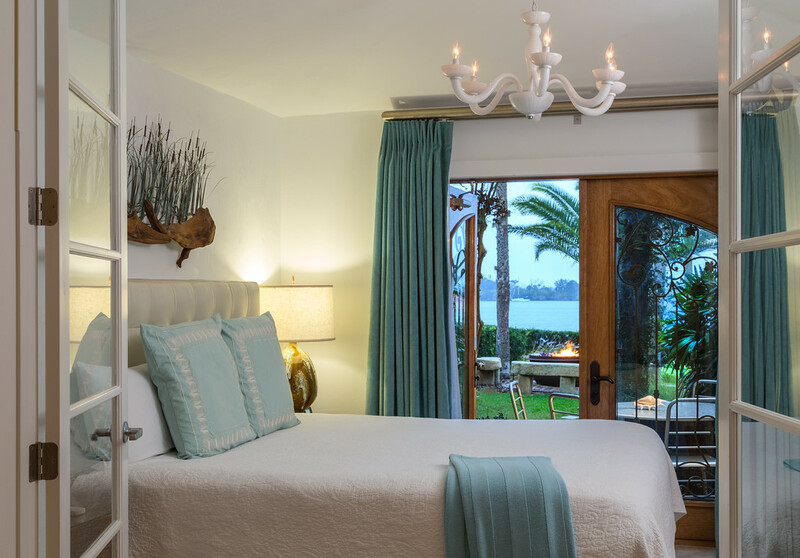 A perfect place for a romantic getaway or anniversary celebration. 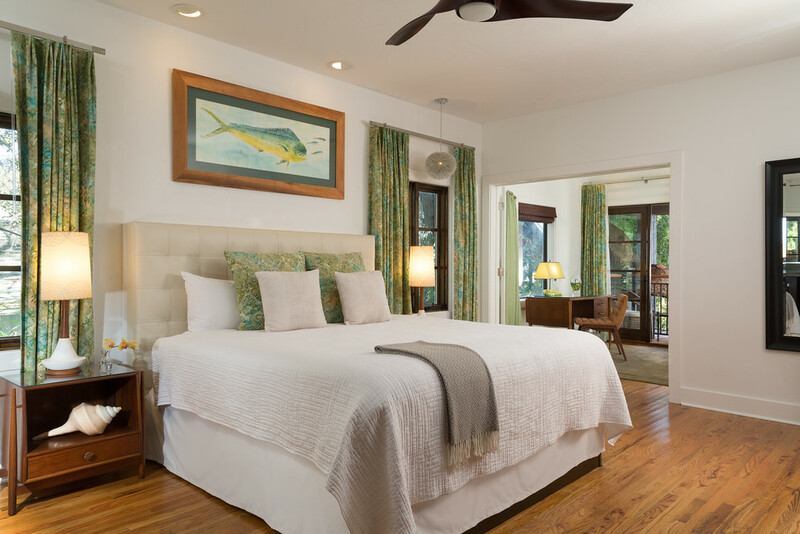 No hotel better captures New Smyrna Beach's unique island vibe better than The Black Dolphin Inn. 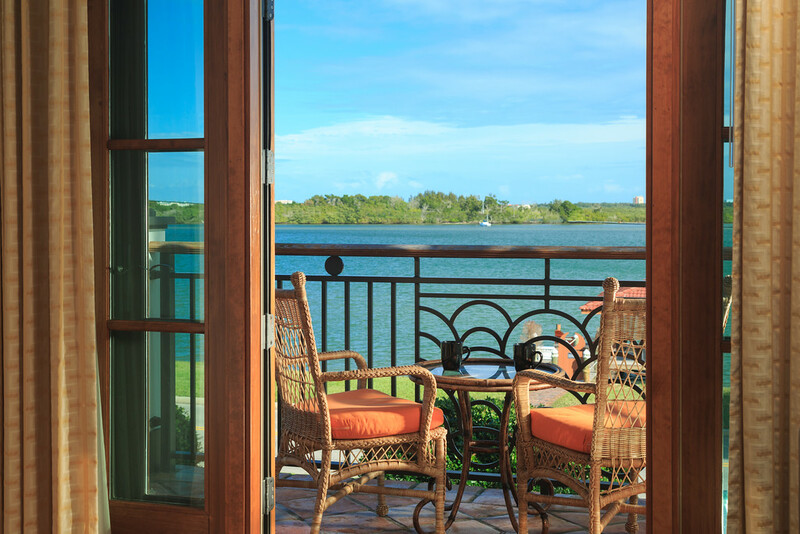 Featuring a spacious balcony with exquisite views of the Indian River Lagoon.